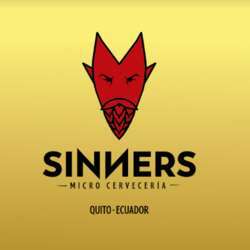 We got invited to visit an awesome Pub in the city, Sinners Micro Brewery, a famous local craft beer brand (local and international award winning craft beer), that just opened its own pub at its beer factory in Quito. The place is pretty cool, has a beer garden, as you can see on the pics (beer tables at a nice garden) and on the upper floor they have ping pong and tables with games so we can do something different during the night. area, is not the Mariana de Jesus avenue is a small street actually (As a reference 1 block behind FLACSO). Or heres is the exact address from Google Maps (easy spot to find), https://www.google.com/maps/search/ … Because usually people get confused. 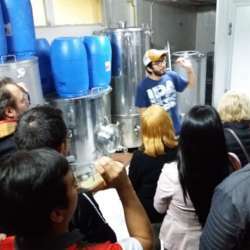 Since the bar is at its beer factory, of course a small one since its a craft beer, we got invited for a tour to get to know the process of making the beer! 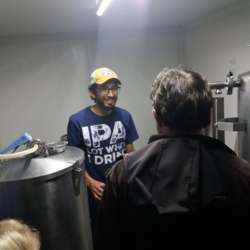 So let's enjoy the weekend with some quality craft beers and pizzas at a cool place, and enjoy the company of InterNations members. Later we can choose to go elsewhere to dance and enjoy the rest of the night, since it's a weekend, no excuses to stay only for a while. Also they all have promotions (to be announced) on drinks and food the entire night just for us. 20:00: Meeting Starts. Ask for your half liter beer (there is non alcoholic beverages as well) and your pizza slices included with the entrance fee. 20:45: Beer Factory Tour starts. We can make small groups until 21:30. 21:30. Speed Networking session, if the group gets big we all do it as a ice breaking session, optional to join as well. 24:00. We all see how the mood of the group is, we can choose to go elsewhere on the area to dance or just change the place we are in. 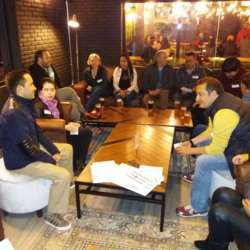 So see ya next weekend, let's meet other interNations members, with some beers, pizzas and have some fun on the weekend at new cool place on the area.